Excellent, excellent post by China Hand at American Footprints. The whole thing could be quoted, it’s that good in terms of the analysis of the situation. The central premise of which is that by pushing for COIN in the Pakistan Tribal Areas and/or an increased quasi-surge in Afghanistan, the Pakistani government could collapse completely. [A country which has nukes you will recall]. Pakistani media and international polling make it clear that Pakistan believes that unremitting American pressure on Pakistan to participate in a flawed, excessively militarized campaign against the burgeoning Taliban insurgency in Afghanistan is turning a serious but manageable problem—ethnic and Islamist extremism in Pakistan’s border regions—into an existential crisis that is ripping Pakistan apart. The attacks represent a highly persuasive demonstration by Pakistani Taliban extremists that peace inside Pakistan’s central, urbanized core requires accommodation with the Taliban, and not participation in America’s escalating counter-insurgency campaign in Afghanistan’s east and Pakistan’s frontier provinces. The other point the post makes absolutely clear–and has been known to anyone who has bothered to pay attention/knew the history–is that the Pakistanis political elites (across the spectrum) essentially do not care about the government of Karzai. For Pakistan the calculation is entirely related to the US and India. Which is why Musharraf went after al-Qaeda (when he was pushed to by Cheney–mostly kabuki but to some effect) but never touched the Taliban. This was so Musharraf could receive fat checks for the military which were used to buy weaponry for a possible future war with India!!! Now the PPP (Benazir Bhutto’s party) has tried to make nice with the US by promising a crackdown on the Pakistani Taliban/al-Qaeda but have lost political standing as a result–Sharif has just left the coalition government–and are likely to lose out and maybe fall soon. China Hand compares this situation to the one in Iraq where nominal stability (for now) has been achieved because the Iranians have backed the Shia government and want stability and not an intra-Shia civil war which explains why they are putting pressure on Sadr to go political and not fight. Pakistan has always felt left out of the Afghan government. One flaw perhaps that can be attributed to the Bonn Agreement–which was heavily weighted towards the Northern Alliance, the Russians, the Iranians, and the (for Pakistan hated) Indians. Although to be fair, the Pakistanis (and particularly the ISI) has backed the Pashtun for so long and see everything only through their (quasi-paranoid imo) relationship with India, couldn’t conceive of a different policy . Zero sum equation in their mind—India gained influence with Karzai, hence Pakistan lost. Hence Pakistan should back the Taliban and the insurgency. Or at the very least no do anything to prevent it. Sharif is clearly going to make his run to become PM again predicated on compromising with the Pakistan Taliban. He has stronger roots in the conservative religious parties. He is going to run against the PPP as the anti-American, pro-Pakistani (“Pakistani solutions for Pakistani problems” you can see it now) pol. China Hand then weaves an interesting scenario. That the ISI (or elements within it at least) were involved in the brutal bombing of the Indian Embassy in Kabul so as to make Afghanistan completely cut off relations with Islamabad, provoke an Indian response (in Kashmir perhaps? ), and then allow Pakistan to go back to the war it really wants with India. And here I think I have a quibble or at least a question. If there is no increase of troops to Afghanistan, Karzai will certainly fall. And that would no doubt be bad. Particularly if there is video of him killed spread around the world. Does Pakistan really want another civil war in Afghanistan? I guess they could live with it particularly if a Neo-Taliban/Pashtun resistance comes back to power (they would love that result). But from the Pakistani side: do they really think the Pakistani Taliban are going to stop attacking them if they stop playing with the West? What evidence is there for that assertion? Every time the Pakistanis have made a peace deal with the Taliban, the Taliban use the time to train, get more weapons/training, and then launch more attacks. What happens if and when Pakistan signs a peace deal and then the P. Taliban set off a wave of suicide bombers in Islamabad? Or take over Peshawar? And for the US–how does al-Qaeda not use such a platform of de facto Taliban victory to attack the US or Britain? Or both. Undoubtedly if left alone they will I fear launch successful terrorist attacks on the West. I have to admit to my own near-despair/nihilism on whether this issue can be resolved. On the one hand I agree with China Hand that pushing in Afghanistan could very easily obliterate what is left of Pakistan politically–unless another dictator were to come along I guess–at the same time that I think not doing so does not leave some “emollient sheen to waters already smoothed by regional interests” because neither the Taliban nor al-Qaeda play by the nation-state rule set. And to leave them free to essentially hollow out two states (Pakistan and Afghanistan) thereby giving freedom of access for attack to al-Qaeda is a deadly deadly scenario in my estimation. I have no idea what can be done. At least 63 people have been killed and dozens injured in twin suicide bombings outside Pakistan’s main munitions factory in the town of Wah, police say. The attack is the deadliest on a military site in Pakistan’s history. The bombs hit the town, some 30km (18 miles) north-west of Islamabad, as workers were leaving the factory. A spokesman for the Pakistani Taleban said they had carried out the attacks, which he said were a response to army violence in the country’s north-west. This follows on Tuesday’s attack on a hospital by the Pakistani Taliban. 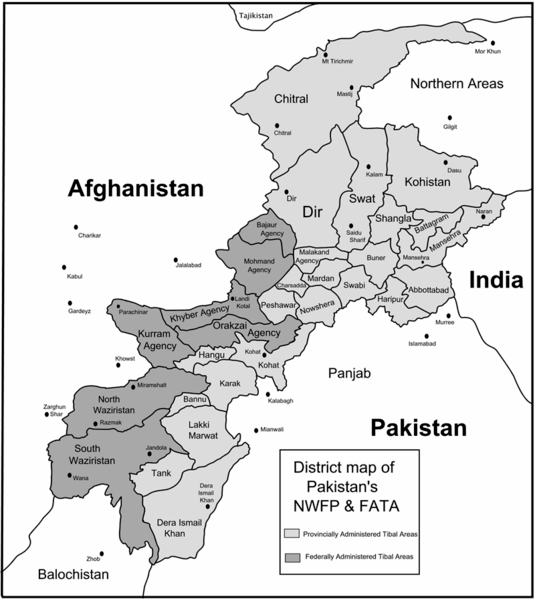 The rationale is to force the Pakistani army to halt an offensive against the Taliban in the NWFP. Meanwhile the political parties of Nawaz Sharif and Asif Zadari (Bhutto’s widower) continue their bickering over whether the Supreme Court Chief Judge (and other judges) should be reinstated. Zadari is a well known crook and doesn’t want the Chief Justice Chaudhry returned to his post because he (Zadari) fears (probably correctly) that he would be quickly brought up on corruption charges. Musharraf out, weakened political parties, the ISI with elements known to be sympathetic if not outright supportive of the Taliban, inflation skyrocketing (along with food prices), and the Army not clear in its mission. Given Pakistan’s history, the timing looks ripe for another military coup.